Speaking at an industry event, Disney CEO Bob Iger said Wednesday that ESPN is exploring various subscription-based models for their forthcoming streaming service, previously announced in August. 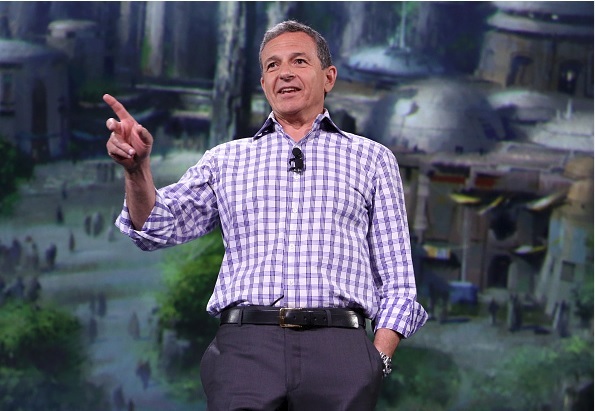 At the Goldman Sachs Communacopia conference Wednesday, Iger offered more color on the service, adding that the plan is to launch it next year. While details are still sketchy, Iger said the idea is to monetize the “treasure trove” of digital rights to sports that ESPN controls but that don’t necessarily make it to the signature service. He added that the offering would be complementary to what ESPN already airs and that pricing is still being worked out. So, to recap: ESPN bought a stake in BAM Tech, was spun off of MLB Advanced Media. MLB had basically pioneered the technology for streaming live events, and had licensed it out to other sports and media companies, from the WWE to HBO Go. BAM Tech is the non-MLB streaming side; it had grown to the point where it likely didn’t make sense for MLB to continue to manage it alongside, well, baseball. Disney purchased a stake in BAM Tech, and now wants to introduce a new ESPN-branded streaming service using rights to sports and events that don’t make it to ESPN. So not WatchESPN, for example, which is a streaming simulcast of ESPN television. Rather, it might feature sports currently consigned to ESPN3, or even those to which ESPN has the rights, but currently doesn’t stream. He added that U.K. satellite TV service Sky does something similar with its Premier League soccer rights. “We think that could be really interesting for a fan that may not want to buy another bundle of sports rights but maybe want a very specific sports that they are willing to step up and pay for, provided it gives them mobility and the ability to watch wherever they are,” Iger added. Now, it should first be noted that this isn’t unheard of for streaming packages. Both MLB and the NBA offer team-specific streaming deals, where a lower price-point gets you your team’s games. In the NBA, there are even multi-team packages. But when it comes to a network with the rights, and not the league itself, it’s a fascinating option, especially as things trend toward the inevitable takeover of over the top services from the current broadcast model. Is this the first domino to fall en route to changing the way sports rights are distributed? Well, more like one of the first dominoes, in a very, very long and slow-moving chain of them. Pingback: Are NBC's over-the-top packages, including the new $70 track one, a vision of the future?